Visualizing the world’s population by latitude and longitude. Interesting to see the spike around 30 degrees E – did not expect Africa and Eastern Europe to have such dense populations. Artist Maya Lin has some new work addressing climate change. Slide show below, her site, What is Missing, here. Putting the duration of the known universe in scale. 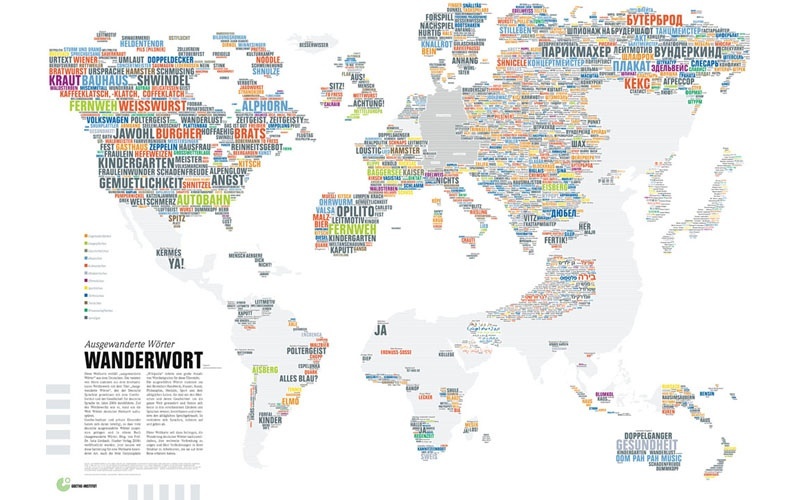 Cool map of world using typography and color to designate areas of interest (of I’m not sure what…) I just like the concept and the way it looks!